This document directly relates to Application Note (3023): OpenLM v2.0: OpenLM Agent Silent Installation. 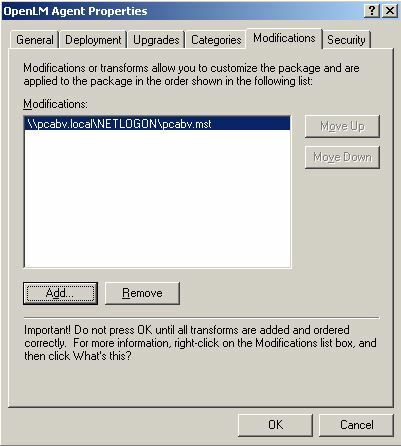 It is provided as a service for System administrators who wish to deploy the OpenLM Agent via Group Policy Object (GPO). 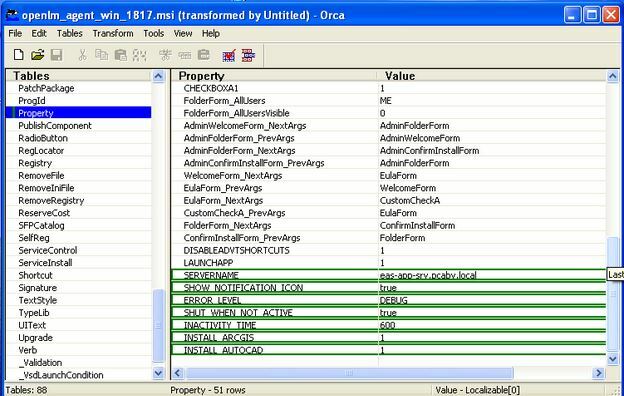 Orca is a tool that allows you to edit an MSI file’s properties. 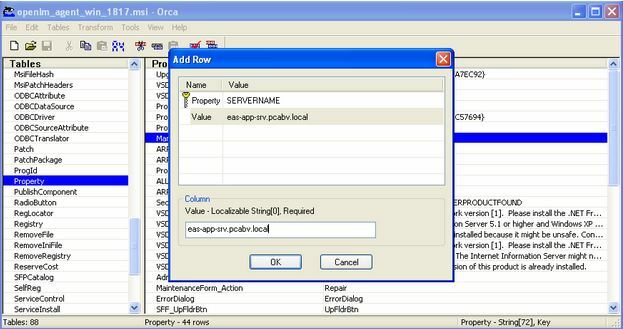 With Orca, you can easily add customized text, add/remove installation screens, add/change/remove public properties, or even change certain conditions contained with the original MSI file. 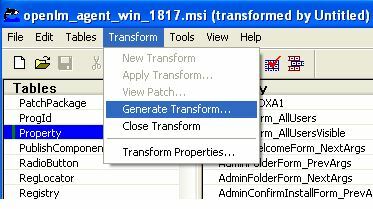 You should now have a Transform file (.mst) that contains the modifications to the original MSI. Keep in mind that the original MSI has NOT been modified. You will have to apply the transform to the original MSI to have the changes take place. 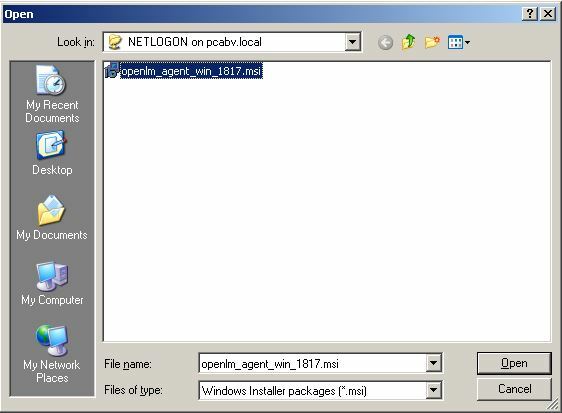 OpenLM is capable of retrieving licenses from idle applications by either one of two methods: “Suspend and Resume” or “Save and Close”. OpenLM Extensions are software modules that enable OpenLM to provide dedicated services to specific software applications. They facilitate idle license retrieval through the “Save and Close” method. Please consult the OpenLM support page for information on supported applications. For more information about the license retrieval in these methods please refer to this Application Note (3005). INSTALL_ARCGIS(1/0): Install/Do NOT install the ArcGIS extension. INSTALL_AUTOCAD(1/0): Install/Do NOT install the AutoCAD extension. INSTALL_MATLAB(1/0): Install/ Do NOT install the Matlab extension. INSTALL_SOLIDWORKS(1/0): Install/ Do NOT install the Solidworks extension. INSTALL_PLUGIN(1/0): This install/ Do NOT install plugin that enables selecting the ArcGIS license level to ArcInfo/ ArcEditor/ ArcView. This plugin is relevant only for ArcGIS users. 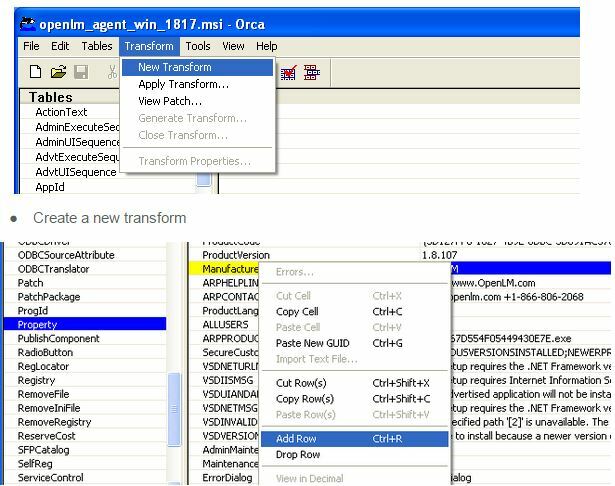 Assign software – A program can be assigned per-user or per-machine. If its assigned per-user, it will be installed when the user logs on. However, if its assigned per-machine then the program will be installed for all users when the machine starts. 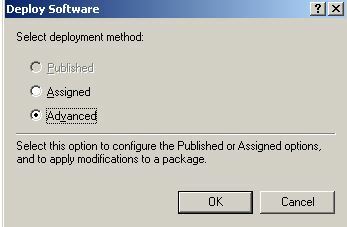 Publish software – A program can be published for one or more users. 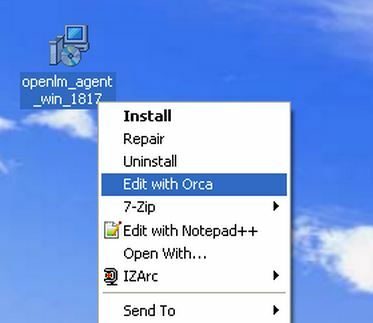 This program will be added to the Add or Remove Programs list and the user will be able to install it from there. Close the Group Policy snap-in, click OK and exit the Active Directory Users and Computers snap-in. * This information is given as a service.